In a small food processor, add thyme, sage, dried onion, dried garlic, salt, pepper and oil. Blend until thick paste forms. Rub roast all over with thyme paste and place on a large cookie sheet. Let roast sit for one hour to come to room temperature. 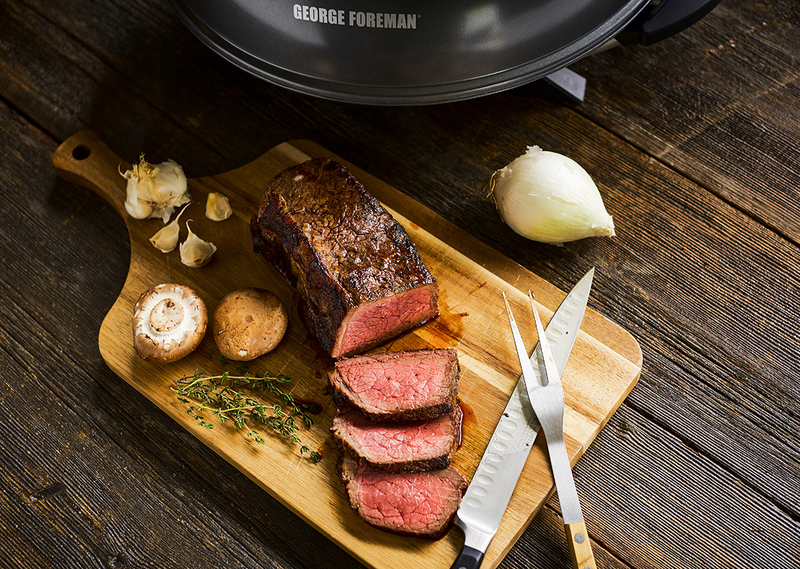 Preheat George Foreman Indoor/Outdoor Grill on setting 3. Place roast on preheated grill, fat side down, and place lid on grill. Grill for 30 minutes, flipping halfway through. Turn roast on side, place lid back on grill and grill for 13-15 minutes, turning on other side halfway through. Insert instant-read thermometer into center of roast (thickest part). Once temperature has reached 110°F remove roast and place on large cutting board to rest. 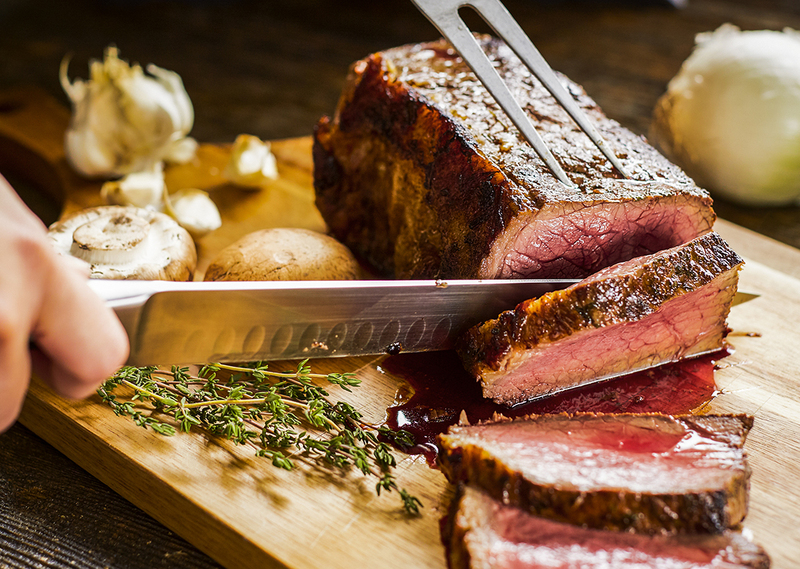 Let roast rest for 20 minutes or until internal temperature of 130°F is reached for medium rare.